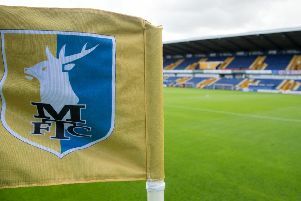 Mansfield Town’s teenage striker Dan Fletcher made an instant impact at loan club Heanor Town last night, just 24 hours after linking up with the Derbyshire club. The 18-year-old scored in the 35th minute in a match which Heanor lost 4-2 against Sporting Khalsa in the League Cup. Fletcher will spend one month with the Lions, who play in the Midland Football League Premier Division. For the Stags, the front man made his first senior appearance in an FA Cup tie against Cambridge United in December last year, whilst his first senior league outing was in a Sky Bet League Two clash at Burton Albion in January 2015.